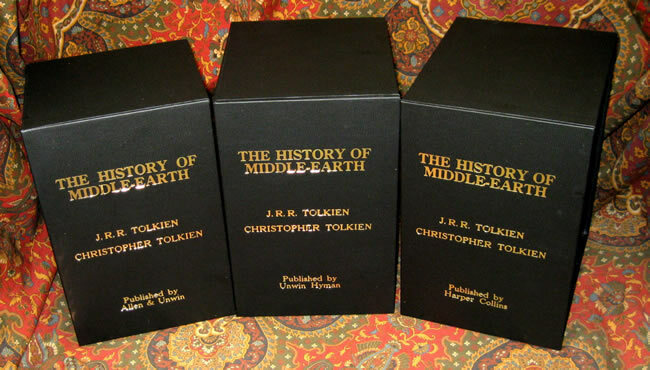 A Tolkien collector's dream case to protect and show their collection. 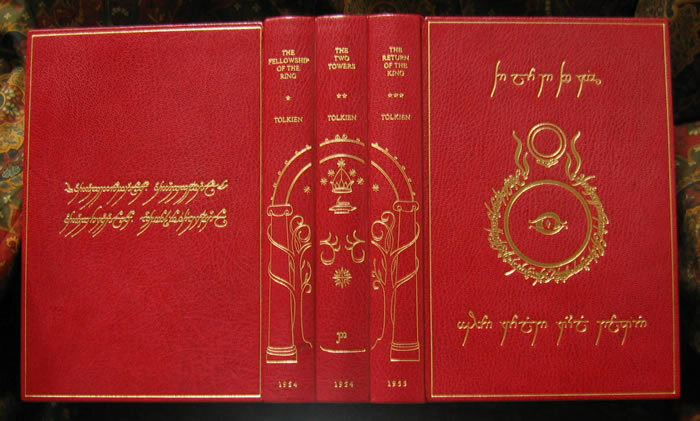 Full Burgundy or Black Leather cover, The spine of the case has three raised sections gilt stamped with Title & Author and features the Tolkien illustration of the Gates of Moria split between the sections. The cases are custom made to fit your copy, and may take a few weeks to finish out for your order. 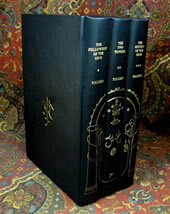 Hand made from the finest acid free bookboard and covered with gilt stamped faux leather. 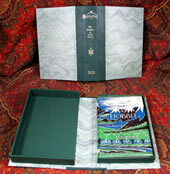 This open ended slipcase is custom made to house your J.R.R. 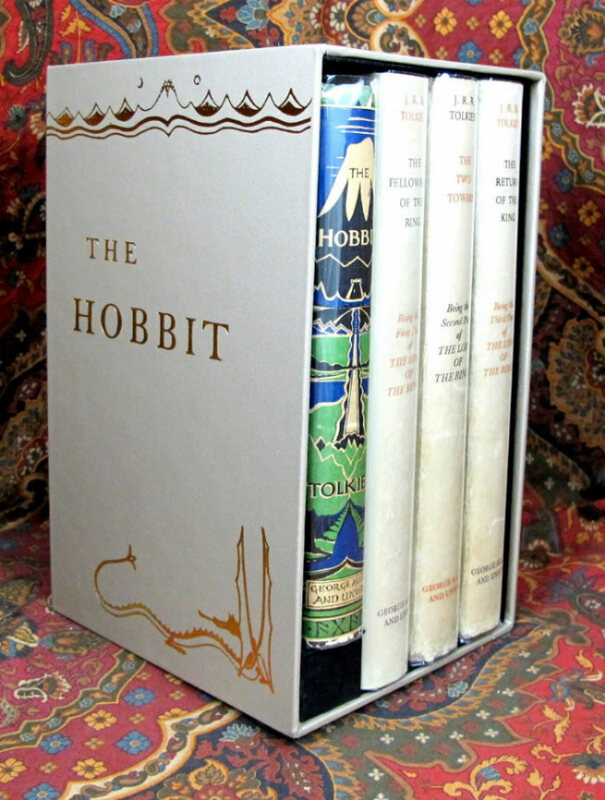 Tolkien - The Hobbit and The Lord of the Rings 4 volume 1st Edition collection.